Third issue of the artist magazine published by THE OFFICE, Berlin. THE WORLD ACCORDING TO seeks to challenge an artist to work in an unfamiliar way: using any source other than his own work, he or she develops an idea, a concept, a subject or a vision which can only be realized on paper. 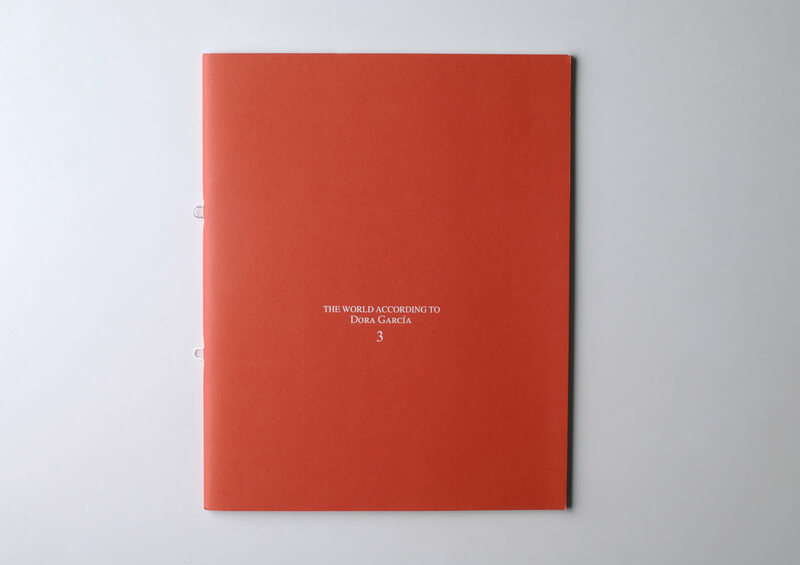 Dora García’s world version for this book is “five conversations from which she has erased herself”. Conversations she had with Carmen Roll, Franco Rotelli, Nicola Valentino, Giuliano Scabia and Eduardo Passos.